As you can see, I've been making some progress on the vest. It's been so hot here lately that I haven't been knitting as much as I usually do. Lately, it seems that most of my knitting takes place on the weekends rather than during the week. I'll sit for hours, watching movies and knitting on those tiny number two needles until some part of my wrist or hand starts to ache. 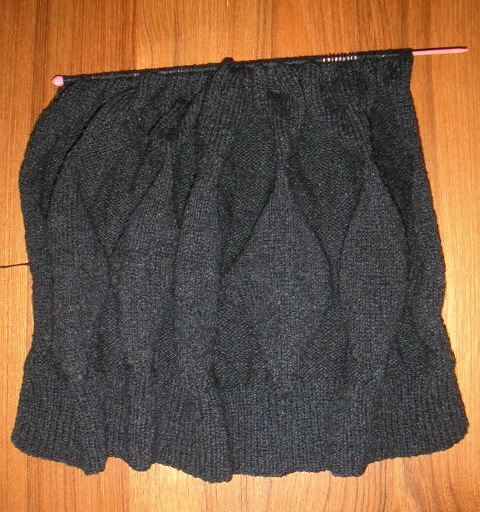 I'm almost to the part in the pattern where I will bind off for the armholes. I am so excited because then I won't have as many stitches to knit!